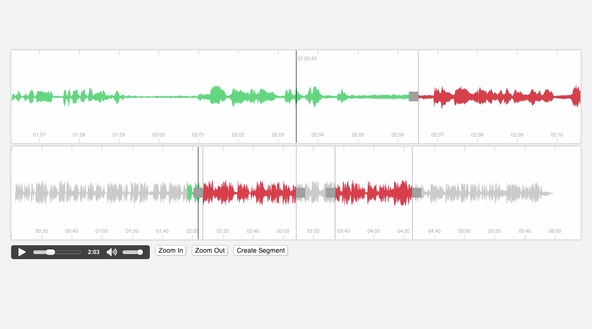 The tool includes features to zoom in waveforms, to mark segments in audio files (could be interesting for chapter marks) and can be easily integrated in HTML 5 audio or video players. 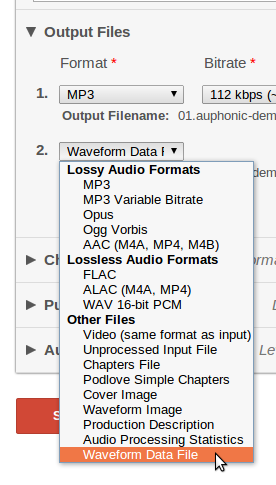 You can also use the open source tool audiowaveform to calculate the waveform data yourself. Let us know if you find this information useful or if you built some nice java script experiments using the waveform data. It would be a great addition on how to display audio files in HTML 5 web players!